Our marriage was a mess, and we needed to break a lot of bad habits in how we related to each other. I searched her eyes for the familiar fire. Seeing none, I thought, Who is this woman? My wife of two years had become an instant stranger. “What are you saying? Why do you want to leave?” I asked. She silently picked up her suitcase, flung her purse over her shoulder, and with a dramatic toss of her hair, walked out our front door. I knew that I hadn’t been the best husband, and that I got angry at her too often, and that my need to be “right” often made her wrong. I knew that, lately, she had been distant. But I didn’t know that my wife was having an affair. During the month Nancy was gone, I was a mess. Each time I called her, I would cry and ask her what I could do to get her to come home, but she answered my questions with one-word sentences. Then she would abruptly say, “I gotta go” and hang up. I asked friends to “spy” on her, and they told me that she seemed fine. They told me to move on with my life and try to accept the fact that she was gone. The decision to forgive came quickly, but the rebuilding of our marriage took a long time. I would feel good one day and hopeless the next. Then she would become frustrated and confused. There might be a week where we would be caring and loving, and then we’d slip into old patterns and have to remind ourselves to get back on track. When we got back together, it was a good day if we were just polite to each other. If we could say “please” and “thank you” and not fight or yell, that was as much as we could have hoped for. The first thing we did was get godly advice from a wise Christian couple. Then we spent several months seeing a Christian marriage counselor. 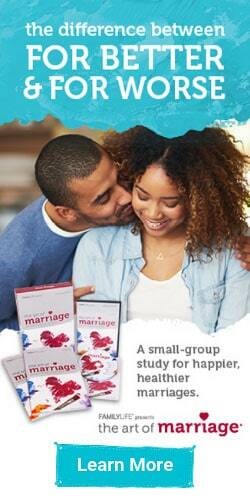 We got involved in our church’s couples group, and started reading marriage materials like HomeBuilders Series. We knew we had to find out, “Okay, what does a husband do? What is my role? 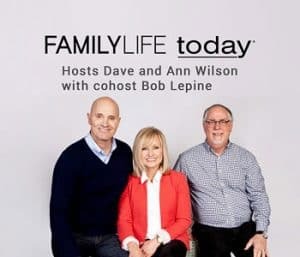 What does that look like?” She had to find out, “What is a godly wife supposed to do?” We learned biblical principles and found practical ways to apply them. Another important ingredient to healing was that we offered each other mercy while we were trying to change. When we slipped up, we tried not to get too bent out of shape over it because we both knew we were trying. It was like we were two parallel pendulums swinging back and forth, just missing each other. But through self-control and studying God’s Word, and putting those principles into our marriage, eventually we became like two pendulums, swinging in sync—together. But it took time, self-control, and a strong commitment. Many of the habits we had established were very difficult to break. Before, we would be waiting for the other person to make a mistake so we could point it out. But when we began this new cycle, I was trying to please her and she was trying to please me. Probably the one thing that helped me the most was the verse in 1 Peter 3:7 where it instructs me to dwell with my wife in understanding. For years and years, every comedian on television says, “Oh, I can’t understand my wife.” It’s the proverbial joke in our culture. But if the Bible tells us to dwell with our wives in understanding, it must be possible. I did not ask for details of Nancy’s affair. I didn’t want to obsess about what she did and where she did it. When the thoughts of her with him came to taunt me, I didn’t allow them to stay. Instead, I chose to think about the future we were building. I read Philippians 4:8, which helped me think about things that were pure, admirable, lovely and good. But I made it my personal mission to understand my wife. I learned that my wife is more sensitive than my buddy. I can tease and make wise cracks at my friend’s expense, and he’s just going to respond with a playful insult. But when I make fun of my wife, it breaks her down emotionally and spiritually. It hurts her and she pulls away from me. I learned that if my wife says, “You’re tailgating and it’s scaring me,” I should stop tailgating. If I love her, why would I want to frighten her? The more I understood about my wife, and respected those God-given differences, the less we argued. We used to have “brush fire arguments”—little spats that turn into World War III in 90 seconds. As we extinguished the brushfires, the intimacy grew and our love grew. Soon, Nancy realized how much my forgiveness meant to her. She thanked me many times for being willing to take her back. She treated me with new respect and I began to appreciate her. I never regretted my choice to forgive Nancy. It’s been over 25 years since Nancy’s affair but we’ve never stopped learning from it. Her affair was a symptom of a terminally ill marriage. I’m not excusing her behavior, but I was not an attentive, loving, encouraging husband. She repeatedly told me how sad, lonely, and discouraged she felt and I selfishly tried to talk her out of her needs. I didn’t compliment her enough and I was not the spiritual leader of our home. Our marriage was a mess and a lot of that was my fault. We had to learn that the Word of God is our value system and though our emotions may change, God’s Word doesn’t change. The truth is the truth. Our theory is: Always work at fine-tuning your relationship. Never let your guard down for a moment. Never take each other for granted and be careful not to get caught up in emotions because our emotions can deceive us. We are amazed at how far we’ve come; we laugh a lot now and really enjoy each other. Our 21-year-old son often sees us holding hands and sees that we are living examples of mercy and restoration. We had a broken home, but with the Lord’s help and a lot of work, it is fully restored and stronger than before. My wife’s affair shattered our marriage … but it saved our marriage, too. © 2008 by Ron Andersen. Used by permission.